Want variety? Our 6 can variety pack includes two cans original and one of each of our albacore flavors: no added salt, dill, jalapeno, and smoked. Available in 3.5 oz (approx) or 7.5 oz(approx) cans. We're also happy to make up a custom case for you. 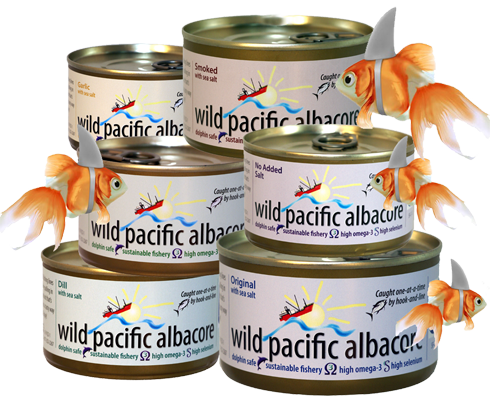 Email us at info@wildpacificseafood.com or call 877/ALBACORE • 360/592-4072 or email us at stephanie@wildpacificseafood.com. If the link above doesn't work, copy the link below and paste it into your email program.